Most people use the F5 button or the Browser refresh to refresh your page. Streamdesk now dynamically loads pages so if you refresh this page you will be redirected to your first page, to properly refresh your page use the refresh button in your My History. When you log in to Streamdesk you will notice a popup box opens in the bottom right corner. This tells you your appointments and tasks for the day. 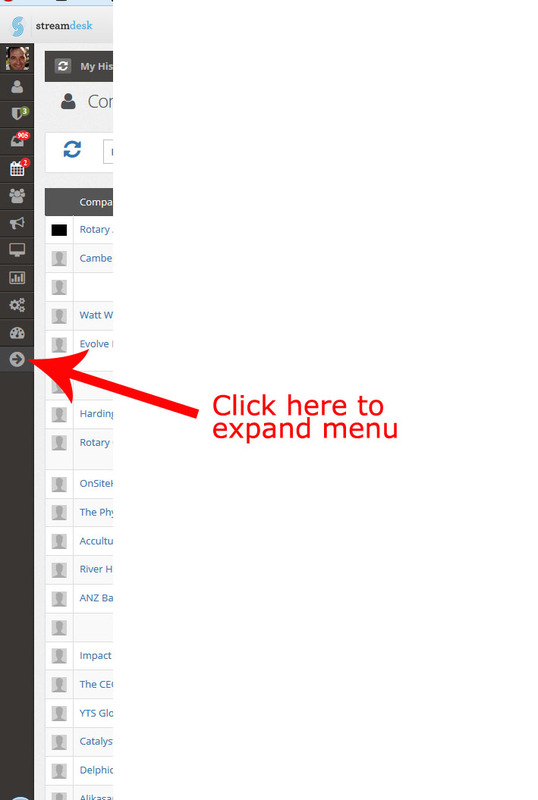 Many of you will see a smaller sidebar menu. We did this to give your console more room to work with your information. Some of our customers are receiving Spam which is being filtered by our firewalls correctly. All Spam emails which are discovered are now pushed to the Spam folder (rather than cluttering your Inbox), you can deal with it the same way as you do with trash. When you click on this and choose the date and time it creates a default 1 hour appointment with that contact within your personal calendar. You will be reminded when you log in to Streamdesk on that day with a handy little popup window. When you click on the task icon next to your Contacts name a popup window will appear which allows you to connect a task to that Contact. 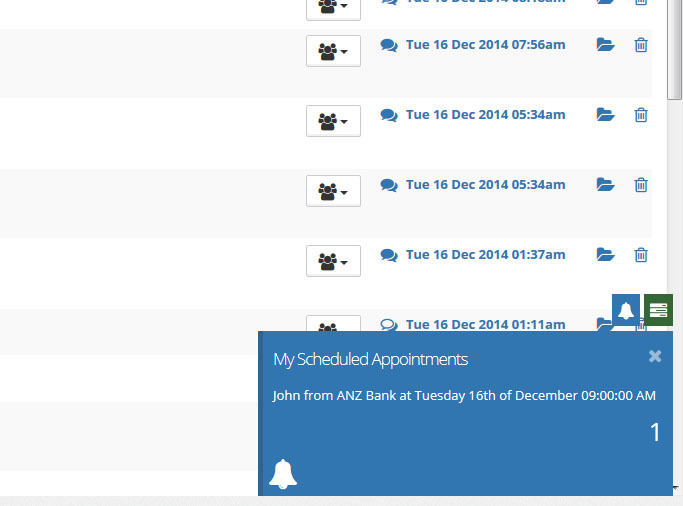 You will be reminded when you log in to Streamdesk that you have outstanding tasks by a handy little popup window. Did you know you can send SMS through Streamdesk? Just go to your Contacts and if the contact has a Mobile Number just click on the icon next to the phone number. A box will pop up where you can send that person an SMS. Please note you need to contact support@streamscape.com.au to activate your SMS balance.